Deep, abiding taco love is a thing at our house. 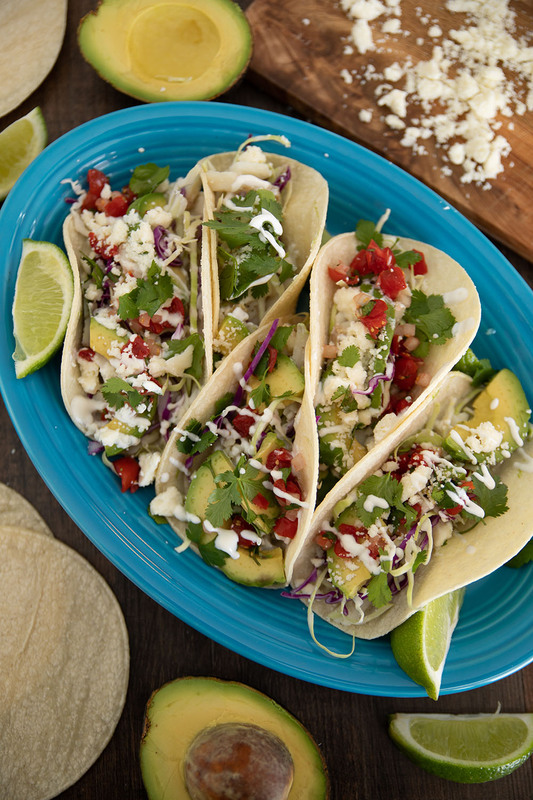 We LOVE Baja fish tacos. This version is quick, tasty and best of all healthy! 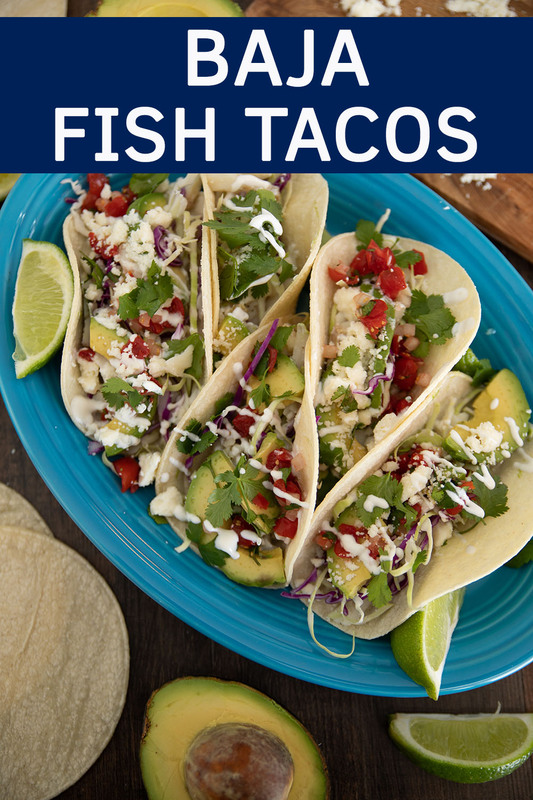 Cod is my favorite fish for tacos because it has a lovely light flavor and pairs well with bold taco ingredients. You can serve it on corn tortillas for a gluten free option or on lettuce wraps if you like. If you have been looking for a good way to eat more fish this is the recipe for you! Serve these up quickly on a week night or throw a party and use these in a taco bar! You just can’t go wrong. May all your Tuesdays be #TacoTuesday! I fell in love with fish tacos in Baja, California. It was 1996 and I was 11. The taco stand was Danny’s Taquería in Mulegé, Mexico and it cost about .25 USD. Mulegé is a fishing community just a few miles from the Sea of Cortez so the fish was always fresh and delicious. At Danny’s it was fried, the tortillas were home made and the veggies to put on top were plentiful. This recipe is a simple weeknight toss together you can have ready in less than thirty minutes. There are always days that get away from me by dinner time and I need a fast meal that is not pizza or takeout! We can all use more fish and veggies in our diets so I think this is a win all around. Do ya need a list? Gotcha covered! If you have having a taco bar make sure to load up on some of these great toppings and you will be all set! Everybody likes their tacos with different stuff so get some variety and you win dinner! frozen watermelon margaritas – OK, I know, not a side dish but…. YUM! What is queso fresco and what is cotija cheese? Quick cheese lesson here. Lots of kinds of cheese taste amazing on tacos but queso fresco is a great option for many people. The name literally means fresh cheese. Because it is fresh it is also mild in flavor. It is usually served crumbled instead of sliced or grated. The flavor profile of queso fresco is mild, soft, and creamy. You can find it in the cheese section of pretty much any grocery store. The cheese is round and white – often about 4″-5″ across. This is not a weird cheese – most people like it the first time they try it. Cotija cheese is also white and usually sold right next to the queso fresco in similar round, white loaves. However, it is a more strongly flavored cheese more suited to people who like a more acidic bite to their cheese flavor profile. It has just been aged longer which makes it more sharp and dry. It is still a great option for tacos, crumbled over refried beans etc. You can substitute feta for cotija if you like. The flavor is not the same but it is similar. Sometimes cotija cheese is called the “Parmesan of Mexico” because it is used so commonly. Cotija cheese that has been aged longer is referred to as anejo (literally “aged”). Ahhhh crema! In the US we tend to load up our Mexican food with sour cream and call it a day. However, in Mexican Restaurants or in Mexico for that matter, you are more likely to find a white condiment called crema. It has a thinner texture, is slightly more salty and a little more tangy. 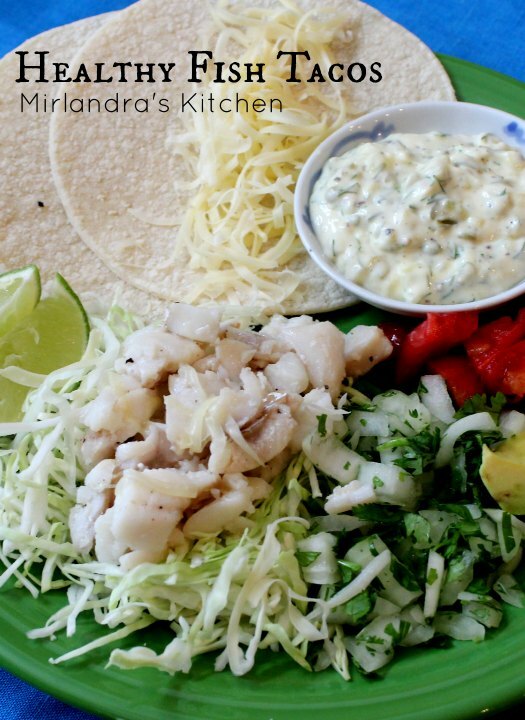 It is particularly good on fish tacos so I do call for it in this recipe. If you don’t have crema but want to get that feeling you can whisk up your sour cream with a little lime juice to think it and a little dash of salt. This is actually a great way to lighten up sour cream in general. Lime juice is healthy and if you stretch the sour cream with lime juice you end up with a lower calorie, more flavorful condiment. These tacos are quick, tasty and best of all healthy! Cod is my favorite fish for tacos because it has a lovely light flavor and pairs well with bold taco ingredients. You can serve it on corn tortillas for a gluten free option or on lettuce wraps if you like. Serve these up quickly on a week night or throw a party and use these in a taco bar! Cut up cod into strips. Melt a pat of butter in a non-stick frying pan over medium high. When the butter is melted, add the fish. Sprinkle in some salt and grind in some black pepper. Turn the heat down to medium and stir occasionally as the fish cooks. Fish is done when it loses its translucent color and becomes white and flaky. Shred the cabbage. Chop onion and mince cilantro. Grate cheese and prepare any other items you want to serve. Please note the nutrition facts for this recipe don't include the additional suggested condiments. Cod Fish Tacos: Then and Now! I initially published this post in June of 2014. 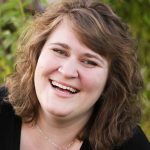 It was one of my very first posts here at Mirlandra’s Kitchen and the photography was AWFUL! This taco recipe is so tasty and easy I felt like it deserved some updated photos! On a personal note it was really fun to reshoot this recipe and compare the photos from five years ago to the photos I take now. People (and women especially) are really good at criticizing the work we do and not always as good at looking back to see the amazing ways in which we have grown! Today I’m celebrating my growth as a food photographer and reminding myself of how amazing I am! Here is a copy of the original photo I published with this post! Crazy huh?? ?